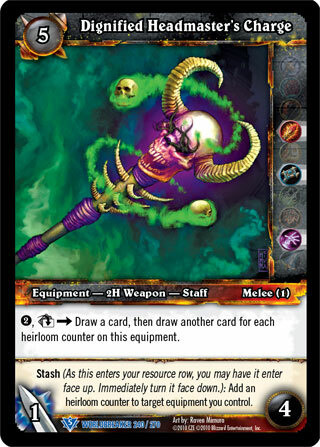 Rules: 2, [Exhaust] -> Draw a card, then draw another card for each heirloom counter on this equipment. ;;Stash (As this enters your resource row, you may have it enter face up. Immediately turn it face down. ): Add an heirloom counter to target equipment you control.